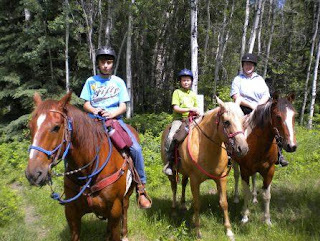 Horse camp this year was at Horse Creek Ranch. We loaded up four of our seven horses and went camping at the ranch. 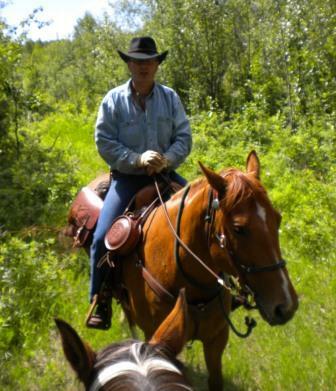 The ranch is next to the Fort Assiniboine Sand Hill Wild Land Park and has great trails. There are five riders in the family. Me, Brad, two kids and my Dad. We took turns riding and one rider stayed at camp with my mom. This was a look out point not to far into the park. We could see the Athabasca River from here. I hear tonight many parts of the river are now at rick of flooding because of all the rain this weekend and it was high to start. We did come home one day early from our trip because it was raining so hard on Friday. Honey the horse. She is so sweet. Adam was getting along real well with Honey. 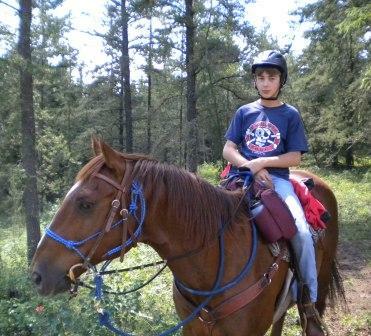 He has not ridden her much until this trip. Wyatt and Scotty were paired up for part of the week. 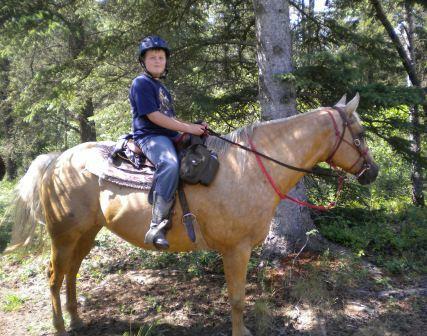 Honey is Wyatt's horse but we moved him up to Scotty when his younger brother came on the trail.